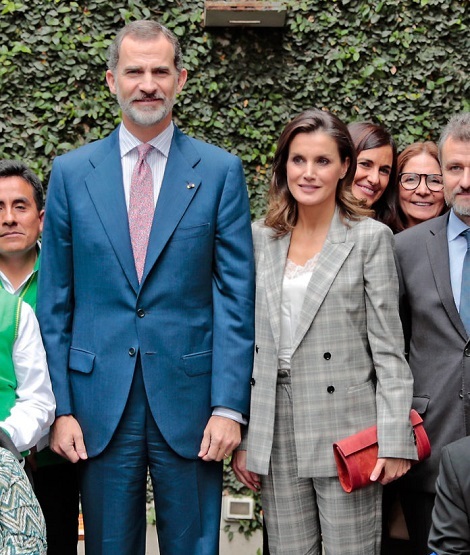 After a successful Day 1 of State Visit, The Spanish King and Queen Felipe and Letizia started the Day 2 of 3-days long State Visit on Tuesday. 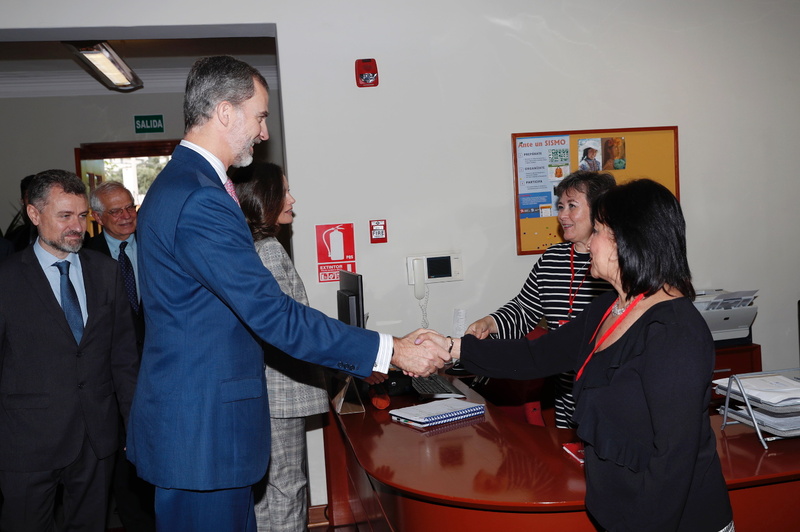 The day began with the His Majesty the King accompanied by the President of Peru visiting the Business Economic Forum. 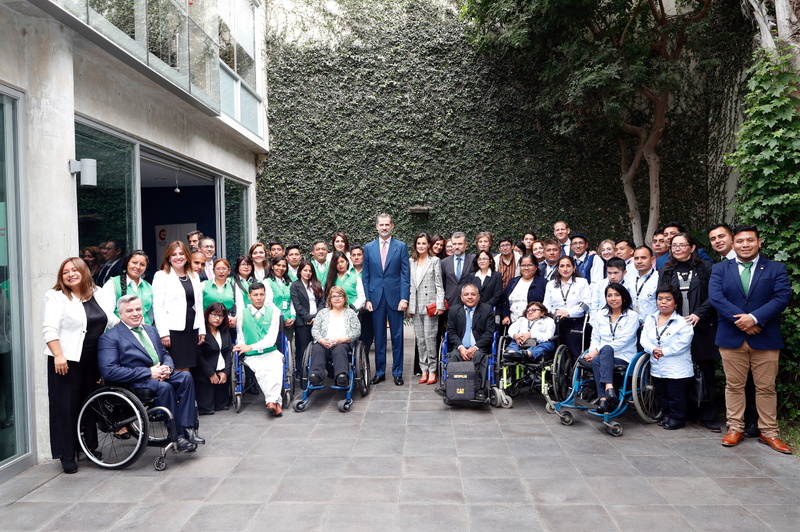 Then Felipe and Letizia visited the Technical Office of Cooperation of the Embassy of Spain. 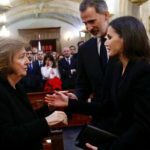 The office was opened in 2008 by Queen Sofia, Felipe’s mother. 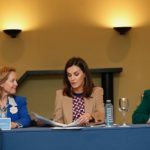 At the center a program INTEGRALIA – KONECTA – AECID – FUNDADES is run for the integration of young people with limited resources or affected by motor disability. 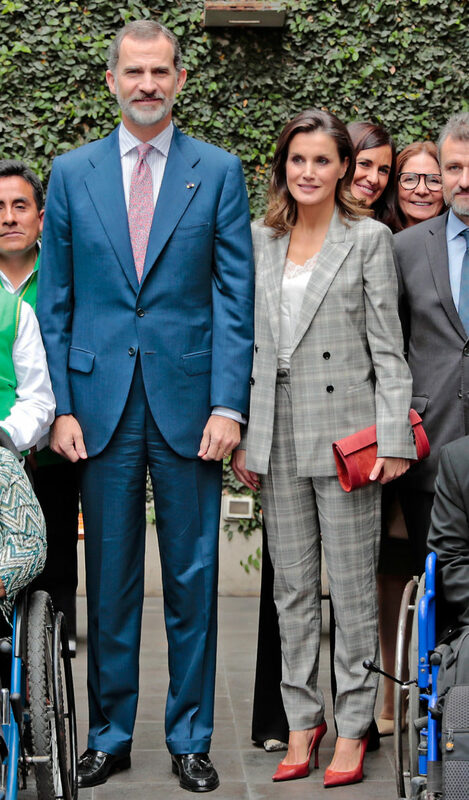 Don Felipe and Doña Letizia spoke with young people with disabilities or without resourcesand beneficiaries of a job placement program promoted by the Foundation for Solidarity Development (FUNDADES) that is being financed by Spain with 227,000 euros. 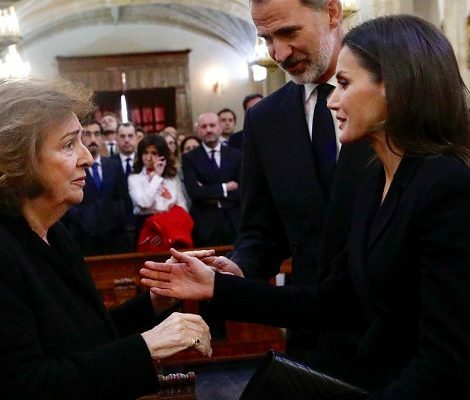 For the first part of the day, Letizia chose a professional look. 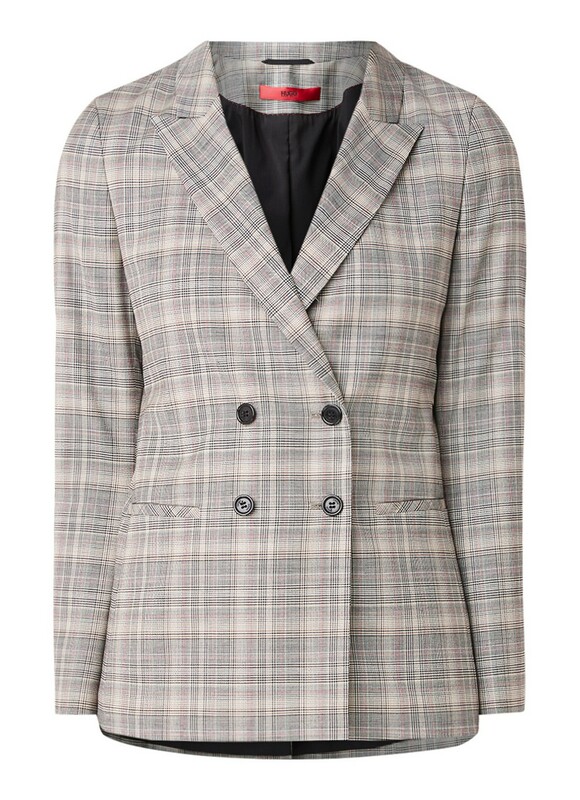 She was wearing a gray Prince of Wales checkered Suit from her trusty label Hugo Boss. 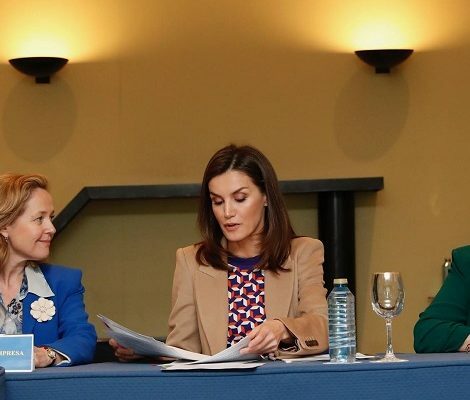 Letizia paired the outfit with red accessories. 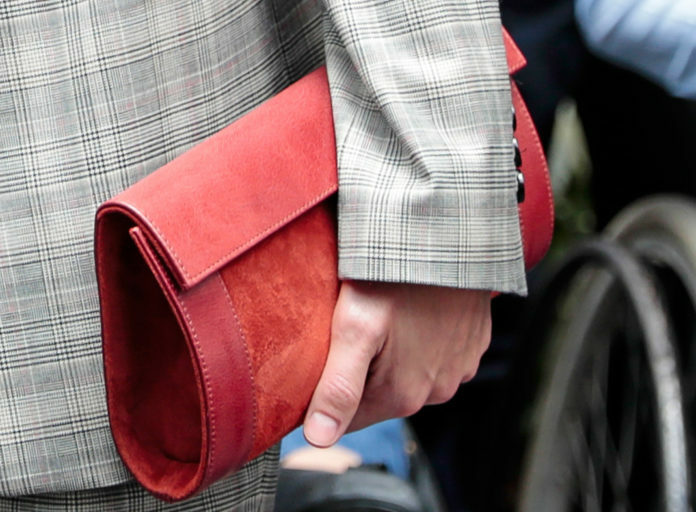 She was wearing red Magrit leather-suede pumps and carried a matching red leather clutch. 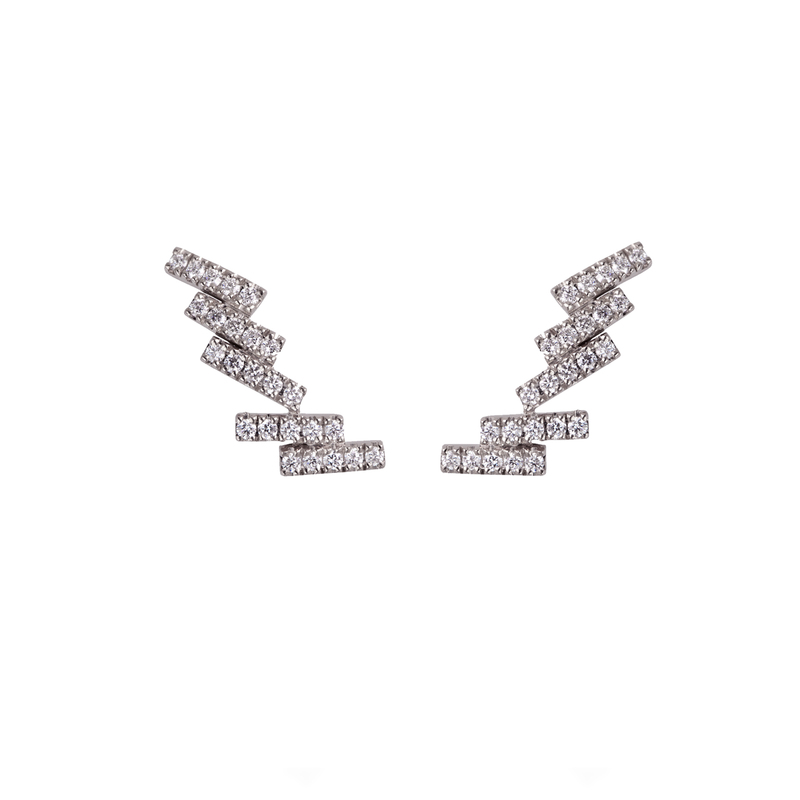 Her Gold & Roses Skyline Crawler earrings finished her look. Next the couple will visit the cultural centre in the evening.